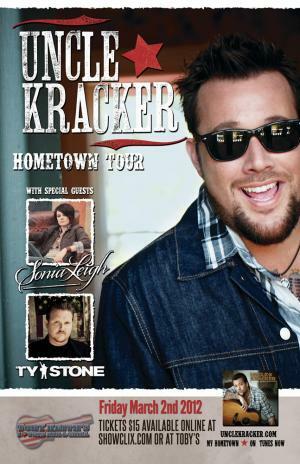 Have a rocking good time tonight at Toby Keith’s with Uncle Kracker. I am sure it will put a “Smile” on your face. There are no more tickets available online but give the bar a call and see if you can drum some up. Because music never gets old.